More than almost any other genre, it’s the sports games that really strive for realism, particularly when it comes to the players themselves. 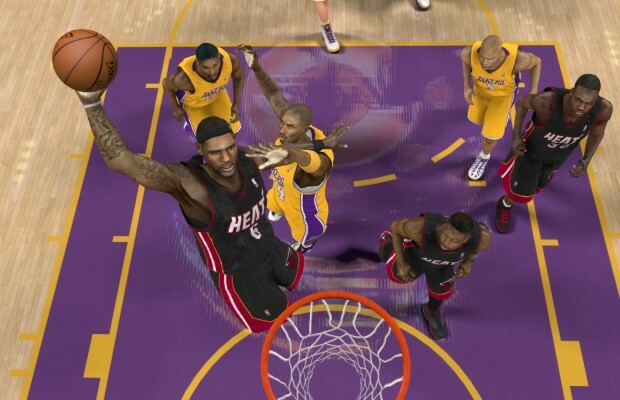 2K knows this, and clearly is striving for that realism in the PS4 version of NBA 2K14. This first gameplay video of the game on Sony’s next gen console is certainly impressive, even on YouTube’s piddly 720p resolution. player likenesses are impressively realistic, clothing ripples like it should, skin textures look excellent and the lighting is great, even by the high bar already set by the series. This is definitely a next-gen looking title, however Gamespot, who is responsible for this footage, noted that there is not much in the way of anything different gameplay-wise, and the game does not feel any different. It’s customary for these games to not change a great deal in the jump to next gen, but with the game already apparently this solid, we as gamers don’t have a lot to complain about. Tell us what you think of the video, and find us on Facebook and Twitter!